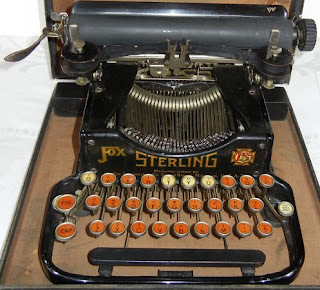 One of my "dream machines" was sold on US eBay this morning: A Fox Sterling (serial number S12262) jumped on a last-seven seconds bid to $US467.99 (Australian $451.47). The starting price was $99 and it sat around the $100 figure for days (since March 28), raising unrealistic ideas within me that it might remain in my price range. So carried away was I by this thought that I contacted the Oklahoma City seller, who, it transpired, had already agreed to vary the "posts to US" only stipulation in the original listing. Nonetheless, by the time I saw the seller's reply, at about 6.30am Australian time, the little Fox was already out of my reach. Less than two hours later, it was way out of my sights. The bidding had started to quickly heat up at 4.30am my time, and in the end nine bidders had put in 25 bids. And not one of them was mine. Ah, well, what a shame ... and it would have been such a great 63rd birthday present to myself. Maybe next time?! POSTSCRIPT: Mentioning blackmail, which I did in my previous post, in regard to the woes of typewriter importers in Australasia in the early part of the 20th century, I was reminded of an incident some years ago when I loaned an old Remington portable to a group of Australian National University (Canberra) students who were making a short film based on a Coen brothers story. 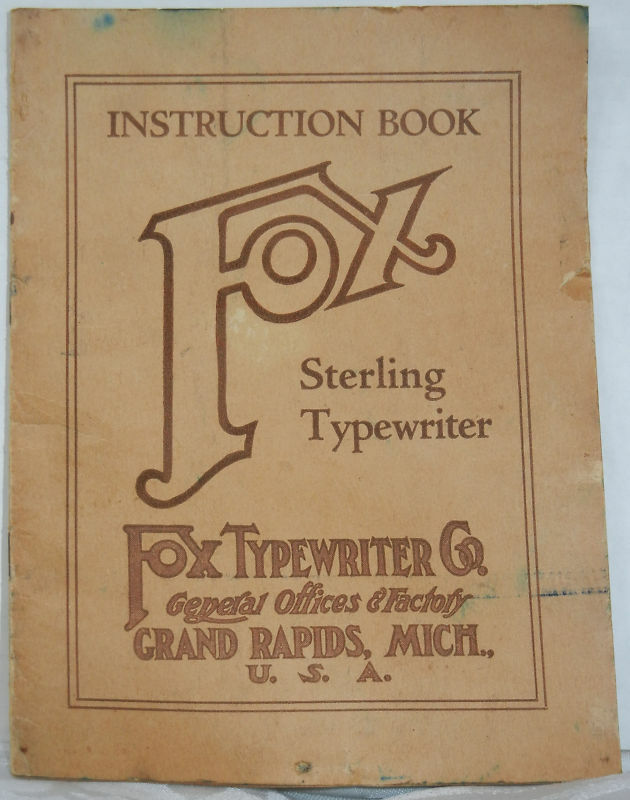 The tale involved an attempted $10,000 blackmail, and a young woman was to type out the ransom note on the Remington. When the students came to collect the machine, I insisted the actress give it a test type, and she sat down to write the note. "But I can't," she said. "There are no figures 1 and 0?". Just as well we "rehearsed". 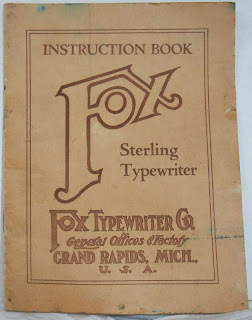 While I was briefly researching the Fox portable this morning, I came across this message from a Judith Jablonski on a Yahoo typewriter forum - "Subject: [TYPEWRITERS] Re: Fox Portable No 2. I don't think all of the sellers are being deliberately disingenuous. A few weeks ago I was instroducing my young (6 & 8) nephews to typewriters. They were baffled by them: wanted to know where the plug was and how to 'erase' stuff, etc. Most interestingly, they had no idea that THEY had to make things happen. When I told them we had to put in a piece of paper for them to type on, they sat there, expecting the machine to roll it in itself." A couple of years ago, I gave a pinkish Adler Contessa to a young North American woman who works in "creative services" [advertorials] at The Canberra Times. She was delighted with the gift, saying she wanted to typewrite invitations to her wedding with it. But a few days later, I received a message: "Where is the return button?" FYI I was the winning bidder on that typewriter and it just got delivered to me today.